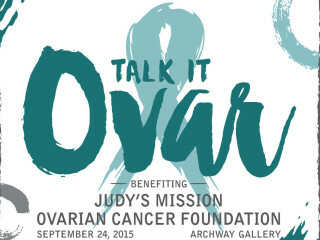 Talk It Ovar brings together ovarian cancer survivors, stakeholders and community supporters for an evening of conversation in support of ovarian cancer awareness and research. This year’s theme is Talk It Ovar ... where the art speaks for itself. Evening highlights include cocktails on the patio, art exhibition, conversations with local artists, silent auction plus upscale Mexican Buffet provided by Cantina Laredo.